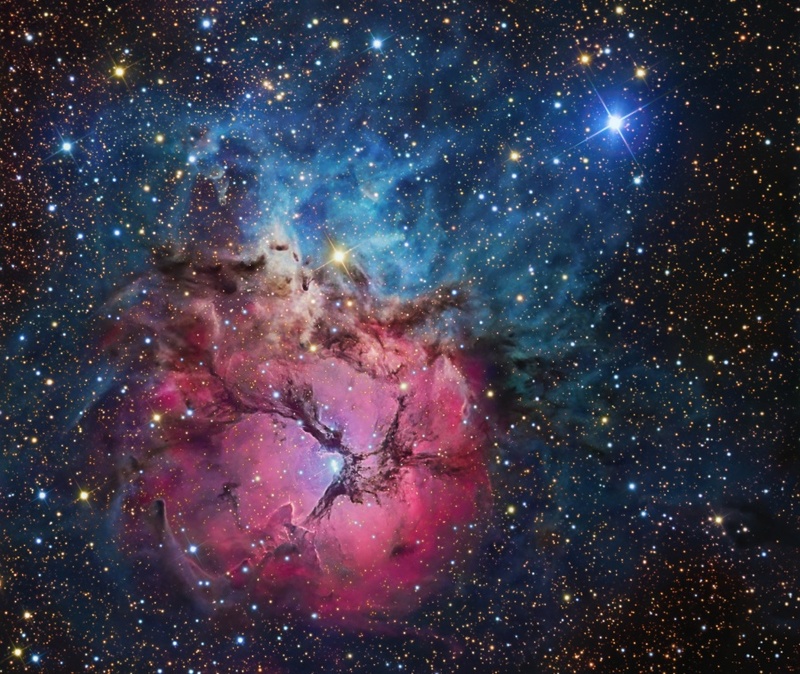 Explanation: The beautiful Trifid Nebula is a cosmic study in colorful contrasts. Also known as M20, it lies about 5,000 light-years away toward the nebula rich constellation Sagittarius. A star forming region in the plane of our galaxy, the Trifid illustrates three different types of astronomical nebulae; red emission nebulae dominated by light emitted by hydrogen atoms, blue reflection nebulae produced by dust reflecting starlight, and dark nebulae where dense dust clouds appear in silhouette. The bright red emission region, roughly separated into three parts by obscuring, dark dust lanes, lends the Trifid its popular name. In this well met scene, the red emission is also juxtaposed with the telltale blue haze of reflection nebulae. Pillars and jets sculpted by newborn stars, below and left of the emission nebula's center, appear in Hubble Space Telescope close-up images of the region. 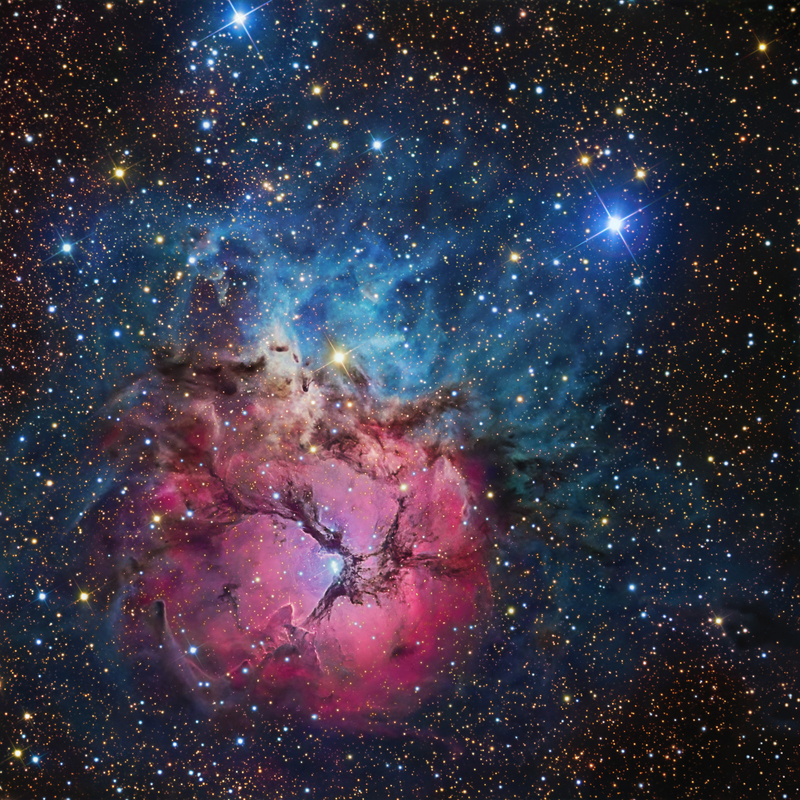 The Trifid Nebula is about 40 light-years across.